The History of African Civilizations is a textbook and course reader based on the original primary research of Prof. Ampim, and it is complete with lesson plans and unit resources. 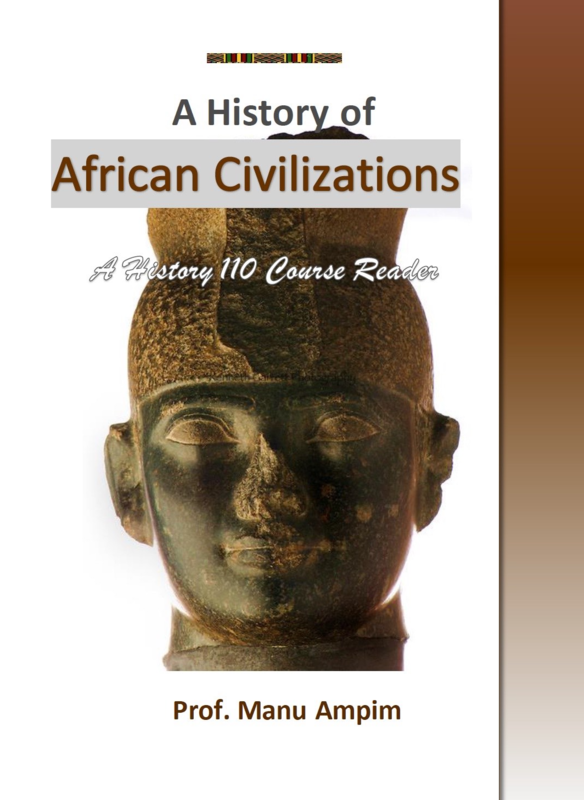 This textbook follows the History 110 course outline at Contra Costa College in San Pablo, California, and it focuses on human origins and African civilizations at the apex of Africa’s contributions to humanity. This course, taught exclusively by Ampim, is one of the few in the U.S. that examines ancient African civilizations without dealing with the modern derailment of Africa, when it descended into slavery and colonialism several centuries ago. To receive publication notifications or for a list of Prof. Manu Ampim’s audio or video tapes, contact him at: Prof. Manu Ampim c/o Advancing The Research, PO Box 18623, Oakland, CA 94619.